Written and recorded during the final hours of the sessions for 2007’s Phantom Limb LP, Mass & Volume finds PIG DESTROYER’s typically break neck speed virtually come to a grinding halt with two epic songs of crushing doom as Chris penned in his review “The two tracks on this EP are feedback-drenched spacious doom, but with less emphasis on the experimental ambience that you got with Natasha. 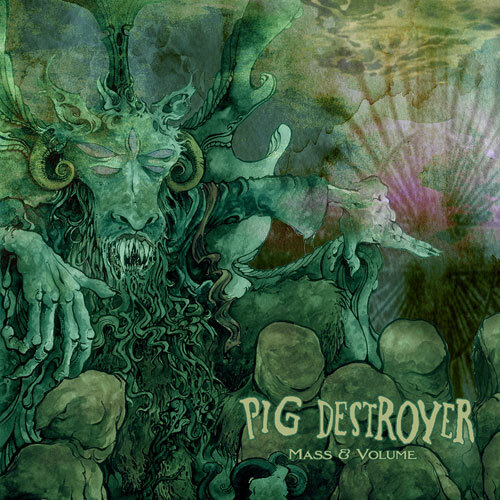 And as the Arik Roper penned foggy green artwork depicting the requisite goat/demon/wizard hybrid suggests, this is Pig Destroyer’s stoner doom release”, the album will be available on October 14th. Physical pre-orders are available HERE with digital pre-orders available HERE. 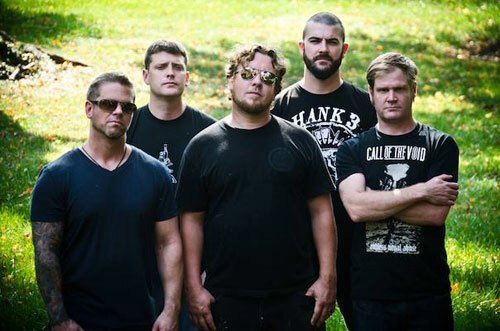 Additionally, the band has revealed more upcoming tour dates including shows with EyeHateGod, Ringworm, Dropdead and Full Of Hell in numerous cities that they have never before played along with a performance at the UK’s Temples Festival in 2015. Check out a full list of dates below.